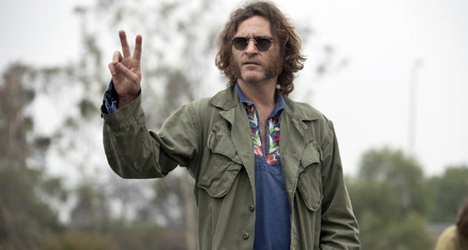 Joaquin Phoenix gets groovy as private investigator Larry "Doc" Sportello in Paul Thomas Anderson's "Inherent Vice." It’s always gratifying to be able to go back and revisit the work of auteur filmmaking genius Paul Thomas Anderson, especially when his narrative sprawls into something your head is unable to put together after only one viewing. 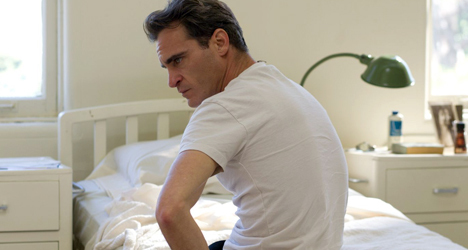 Truth be told, it took me a handful of screenings of “Magnolia,” “Punch-Drunk Love,” and “The Master” to fall madly in love with each of them (it was love at first sight with “Boogie Nights” and “There Will Be Blood;” “Hard Eight,” his first film, is good but not great). 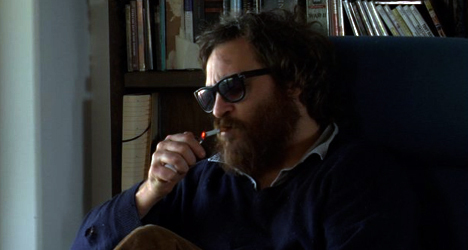 With his seventh feature film “Inherent Vice,” Anderson has done something that I honestly didn’t think he was capable of doing as a storyteller. After only experiencing the film twice, very little of it absorbed me emotionally in the way any of his past six films have done and, for the first time, I don’t feel like any amount of times I see the film to discover all the nuances of it will make me like it much more. 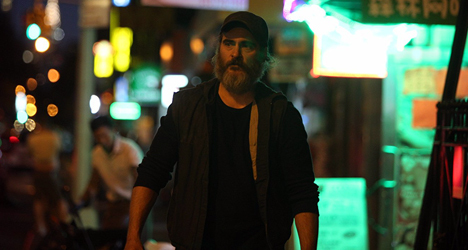 Maybe it’s because Anderson adapted “Vice” from the novel of the same name by reclusive and complicated author Thomas Pynchon (the first time Pynchon has ever allowed his work to be made into a film) and decided to capture the essence of what the writer put on the page no matter how convoluted it might turn out. Maybe it’s because, like Anderson always does, he wanted to show audiences something they had never seen before and prove just how vast his range really is by making a comedy neo-noir film with a dash of slapstick. 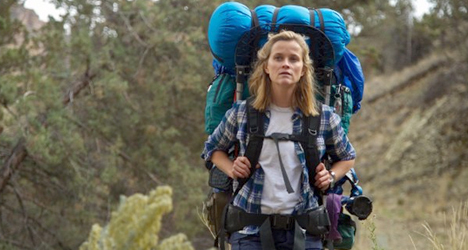 Whatever the case, “Vice,” unfortunately, is the first Anderson film I cannot recommend. It’s highly inspired filmmaking and Anderson recreates the haziness and hippiness of 1970s Los Angeles with appeal, not to mention all the characterizations are extremely unique, but that screenplay (oh, that frustrating, confusing screenplay) is not something I’d consider a triumph no matter how close to Pynchon he was able to get. As eccentric as some critics might call his past work, it doesn’t get close to the off-tempo mess that is “Vice.” Anderson plays to the beat of his own drum (and I love that about him), but he’s influenced here by a higher power. Pynchon is in his head and it shows for better or worse. That might be great for Pynchon’s diehard fans, but he uses Anderson as a link to the outside world and it’s Anderson who is the one that comes out with the short end of the stick.